This amazing child of God lived one precious hour yet made an impact that most can only hope to make in an entire lifetime . To read Beth & Aaron’s remarkable story, click here for Beth’s blog. And please, pray for these wonderful people. They truly deserved nothing short of perfection yet are faithful, prayerful and steadfast, even through the deepest of trials. They are very dear to my heart and I pray that God will hold them in the palm of His hand and provide the kind of strength, healing and understanding that can only come from the Lord. What a powerful picture story- I am left in tears yet somehow filled with hope for this family. Your gift to these people, Jess, is so meaningful. Thank you for giving that to them, and for sharing it with us. Thank you! and my prayers are with Jeremiah’s family! Wow. What you have done for this family is amazing, Jessica. They are in my thoughts and prayers. Absolutely beautiful! Daren’s mom lost two that way before he and his brother were finally born. My heart amd prayers go out to them! Thank you so much for sharing this, Jess! I am sitting here in tears. I have such a heart for trisomy 18 babies. I don’t know you, Beth and Aaron, but you are truly amazing people. Thank you for your commitment to Jeremiah’s little life! I know that you will forever be blessed by him! Wow, Jess. So glad that you were able to document that precious time for them. Although I don’t know them, my heart hurts for them and they are in my prayers. And as I write this at 1:47 in the morning because I’m up with my own baby, this morning I am grateful. Ohmygosh, Jess. What an emotional day. Your images are such a gift for this family. Our thoughts and prayers go out to the Shelby family. I am so sorry for your loss. We too lost identical twin boys at 32 weeks. We know what pain you feel and we will keep you in our prayers. Hi Jessica! Wow what you have documented for this family will be so cherished, this is why I crave to become a photographer because you capture moments in life so well that can never be forgotten. You have an amazing talent and have blessed many lives with it. The Shelby family will forever cherish what you have done for them. I am at work crying but with tears of peace and contentment knowing that Jeremiah is safe and free. May God bless the Shelby Family and my prayers are with them. Thanks for sharing Jessica! You have documented this child in their lives in a perfect way! They will cherish these photos of their son all the days of their lives. We will continue to pray for the Shelby Family during this time and know God does have a purpose and plan for this family! He was a handsome little boy born to two beautiful parents! 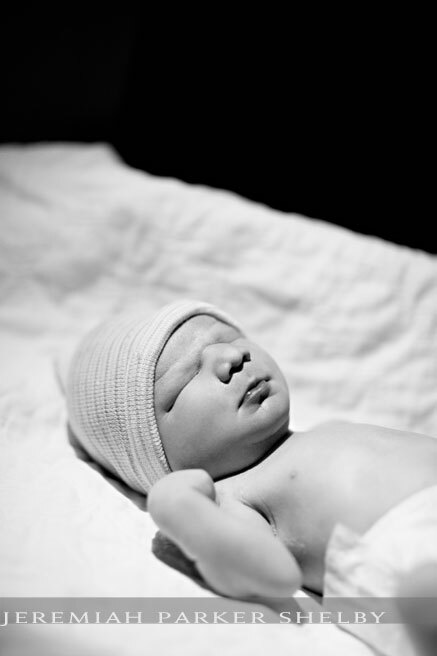 Jessica, You did an amazing job showing how beautiful little Jeremiah was. What a wonderful couple! Thank you for allowwing us to be apart of his short little life as well. What an amazing thing you did for them by photographing their son. I did this for a friend and it touched me forever. She said “Now I have images to show me he was here.” Wow. Thanks for sharing. Jess…taking touching photographs is the gift God gave you! You are serving our Lord by practicing your gift. What you have done for this family is priceless. My prayers are with this family. What an amazing testimony to life and all that it brings. To both Jess and the Shelby family: I appreciate your willingness and courage to share your story with everyone so that God would be glorified in all circumstances. wow! what beautiful pictures! my thoughts and prayers are with aaron and beth! wishing them much love, peace, hope, courage, and joy! I’m numb and in tears. That is truly some of your best work Jess. Knowing you, I cannot imagine how you shot that. Then again, I know you had some help from up above. God bless Beth & Aaron. wow – the emotion those images portray is amazing! grace & peace to them. How fortunate for the family to have had such a compassionate photographer to document such a treasure and to capture the raw emotions of the families. Beautiful! Those photos will be forever cherished. Beautiful. Just beautiful. I’ve done one NILMDTS session and I know how they affect you. You are so strong for doing this. WOW! Beautiful! I am 28 weeks along. I cried and cried while watching this. There are so many uncertainties when carrying a child.